NEWS: Amazon's Alexa... as a fish! 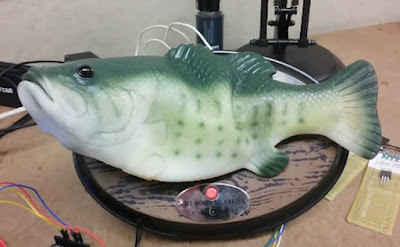 Remember Big Mouth Billy Bass, the fish thing wall hanging that made a noise and sang? Annoying, wasn't it? Was it in an episode of The Office? Anyway... imagine if Billy Bass could actually be useful, such as answering questions about the weather, or running internet searches for you. What if Billy met Alexa?